All-In-One Home Solutions can install seamless aluminum gutters in a variety of colors and styles to meet your needs and budget. Contact us today for a free estimate on seamless aluminum gutter installation throughout the Greater Roanoke area! Want to have your home inspected to find out if aluminum gutters are right for your home? Call All-In-One Home Solutions at 1-844-385-7881 or contact us online for a gutter installation estimate. We will also inspect your gutters as part of our roof inspection. 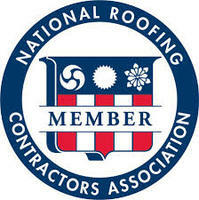 We provide quality roofing services to Greater Roanoke residents. We specialize in solutions to meet all of your roofing needs, including roof repair and replacement in Salem, Roanoke, Bedford, Vinton, Rocky Mount, Troutville, Moneta, Cave Spring, Blue Ridge, Boones Mill and surrounding areas.